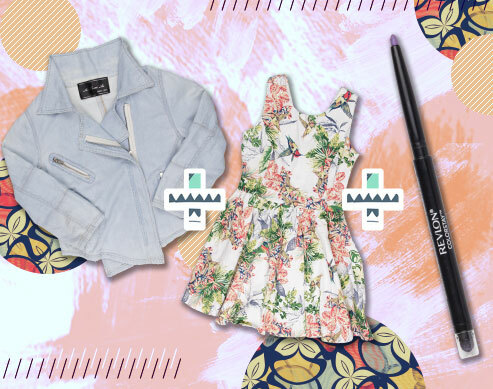 Beauty Q&A: What's the Perfect Colored Eyeliner for my #OOTD? Match your liner with your outfit! Here are cool color combos. An easy way to make your peepers pop is to wear some eyeliner. Up your beauty game with colored eye pencils! They're easy to use and super fun to wear. But if you're not sure that it goes well with your OOTD, a good rule of thumb is to check out a color wheel and see if your eyeliner pencils complement your outfit. You'll know if two colors work harmoniously when they are positioned opposite or side-by-side on a color wheel. Here are some good examples of how to make your eyeliner work with your clothes! This cool-girl look with a hint of sweetness goes well with Revlon PhotoReady Kajal Matte Eye Pencil in Matte Marine. Don't forget to add a soft and natural flush of color using Revlon Powder Blush. Add more edge to a monochromatic outfit and use Revlon PhotoReady Kajal Matte Eye Pencil in Matte Charcoal. Lavender lids make your eyes look extra blooming! 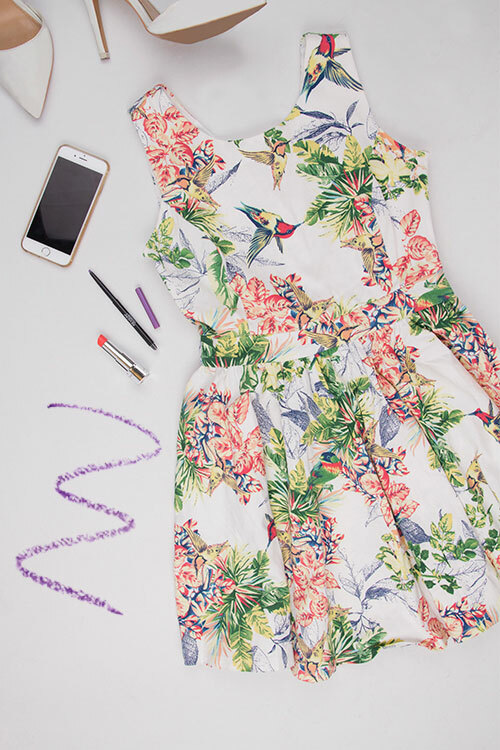 Pair this floral dress with Revlon ColorStay Eye Liner in Amethyst. Top off your look with a swipe of Revlon Ultra HD Lipstick. Brighten up your basic blues with Revlon PhotoReady Kajal Matte Eye Pencil in Matte Lemon. Go for bold with Revlon PhotoReady Eye Art for the lid, line, and lash! Ready to add a color burst to your peepers? Revlon is available at major department stores.